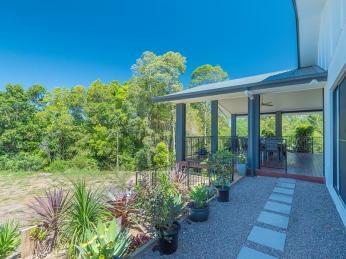 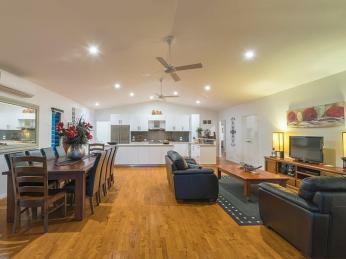 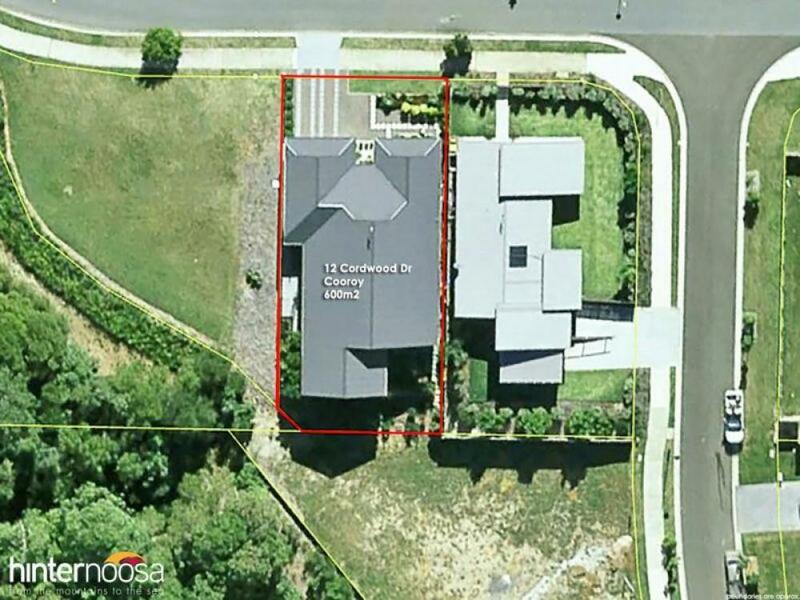 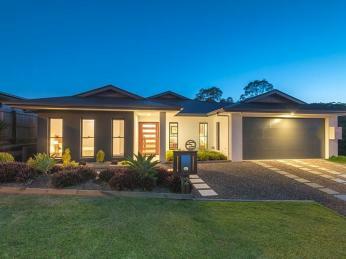 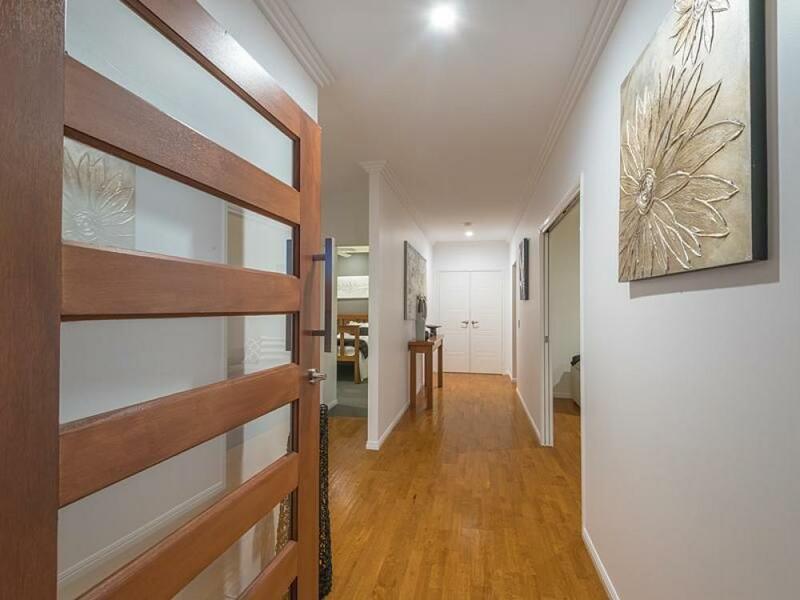 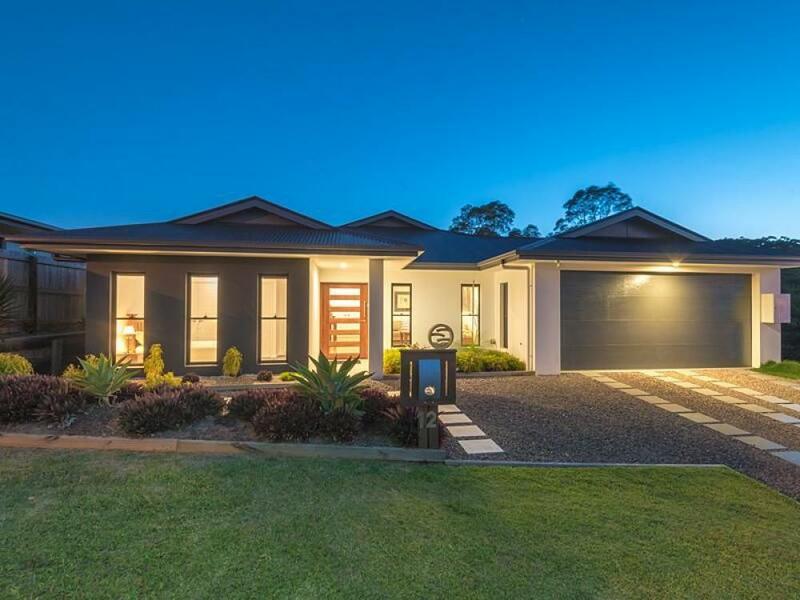 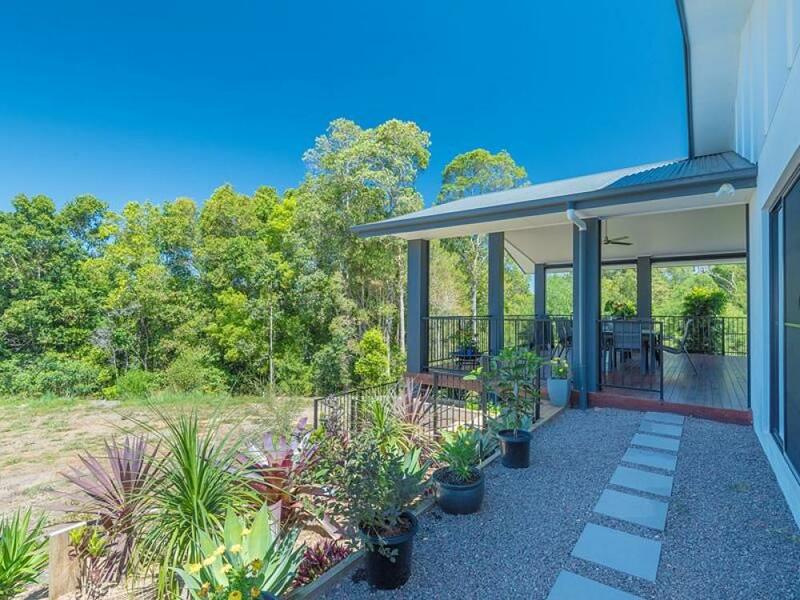 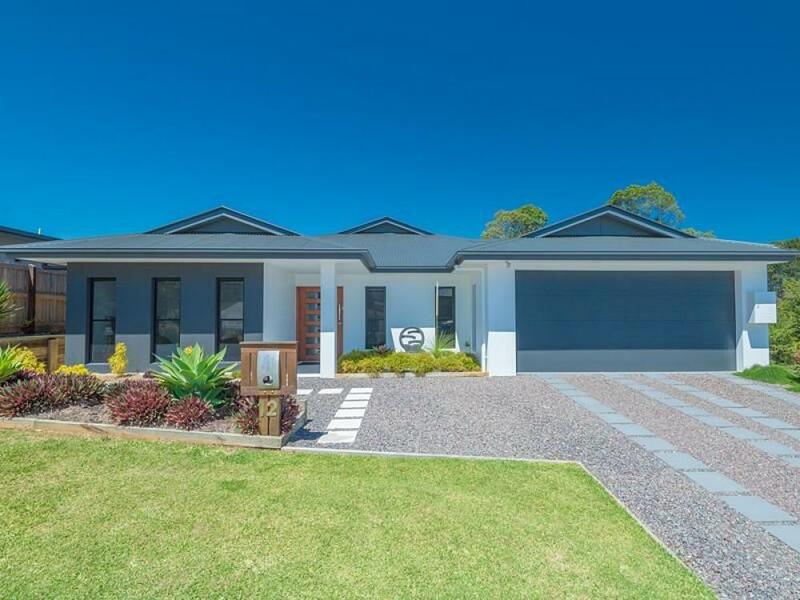 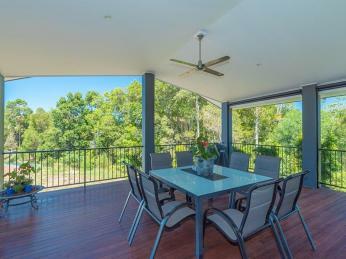 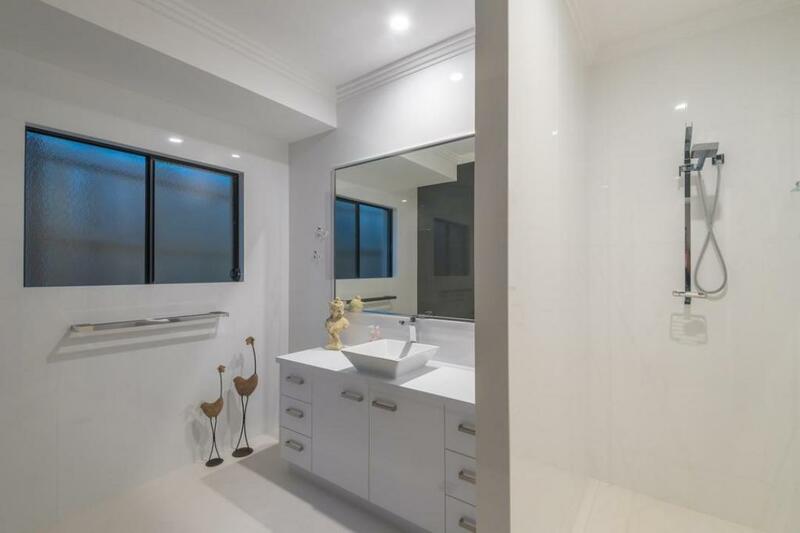 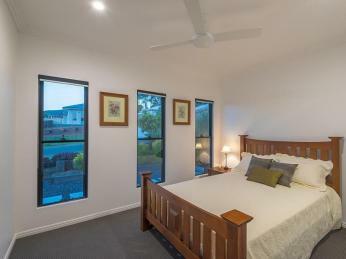 Situated on the eastern side of the beautiful Noosa Hinterland township of Cooroy, just a short walk to all the shops and cafes, is this absolutely stunning, architect designed home that will delight even the most discerning of buyers. 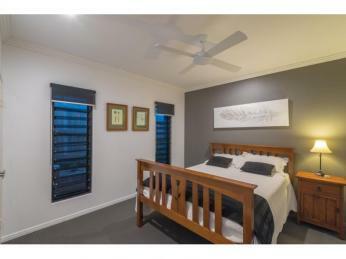 High quality throughout and strength in the build too, with a core filled rendered block exterior whilst inside there's beautiful wide floating timber boards and carpet for comfort in the gorgeous generous size bedrooms. 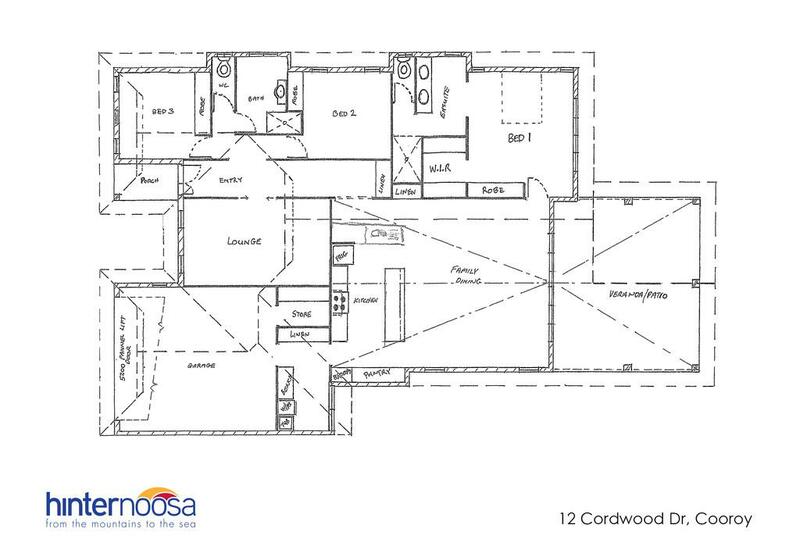 This stunning home presents as new and offers a spacious floor plan especially designed for today's way of life. 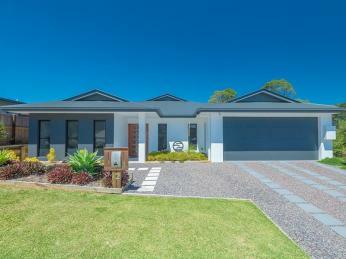 Soaring ceilings in the air conditioned open plan living and 9' ceilings throughout the rest of the home, the colour palette is a neutral dcor with splashes of modern grey. 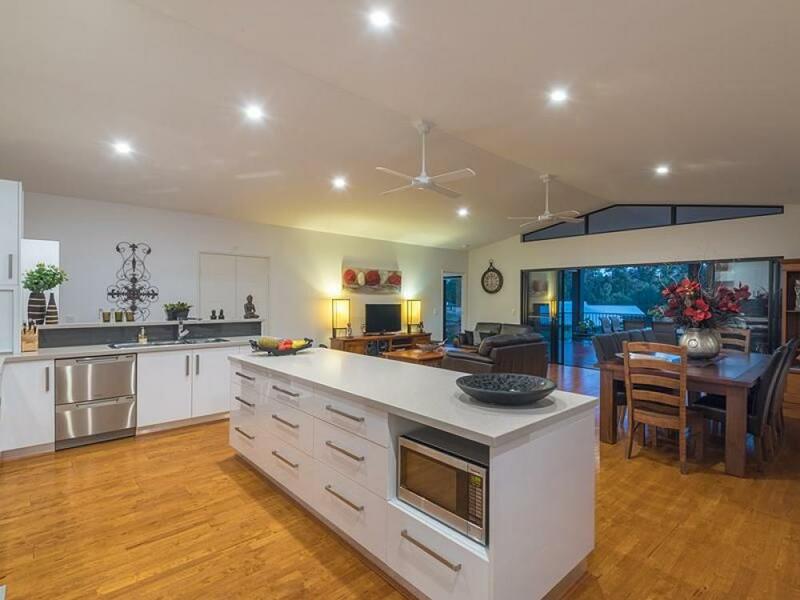 At the heart of the home is the inspirational kitchen with plenty of Caesar stone bench tops, 900mm stainless steel cooker and loads of drawers and cupboards, even a built in wine rack. The double drawer dishwasher is also handy for after those bigger entertaining get togethers or tasty cook ups. 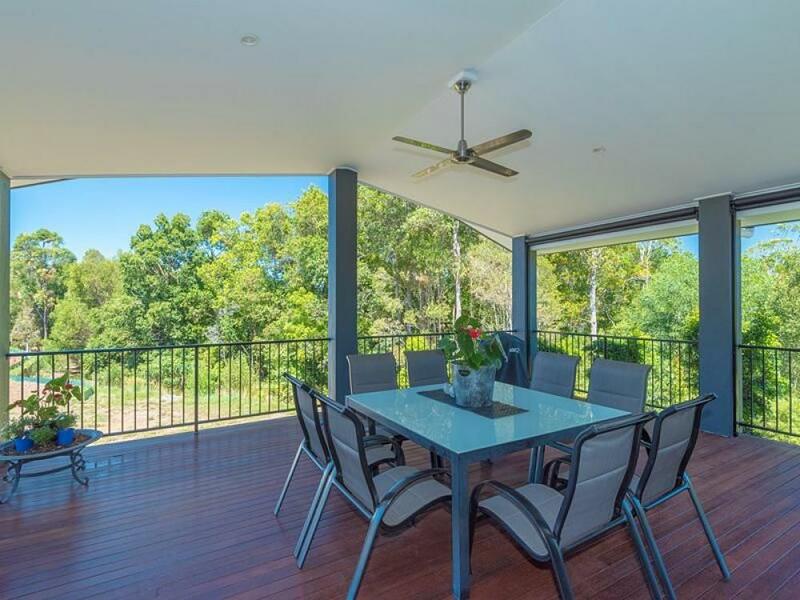 This decadent area of kitchen dining and lounge flows through double glass door sliders to a huge timber covered deck with pull down UV blinds on either side so this area can be enjoyed no matter the weather. 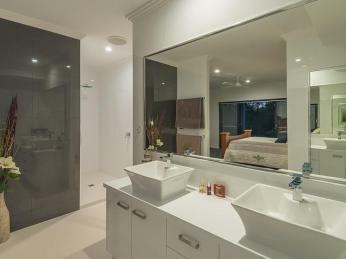 Back inside the main bedroom boasts a resort style ensuite with floor to ceiling glossy tiles and a discreet frameless shower. 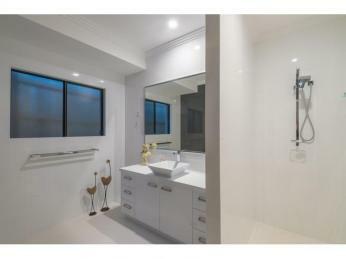 The main bathroom servicing the other 2 bedrooms mirrors this luxurious style too. 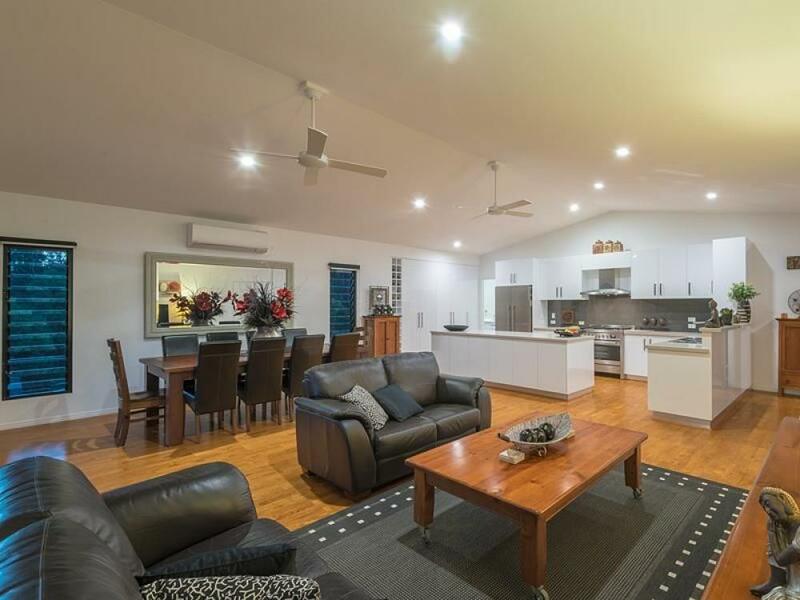 A handy second separate lounge room could be an ideal media room, 4th bedroom or just another area to enjoy when a little more solitude is required. 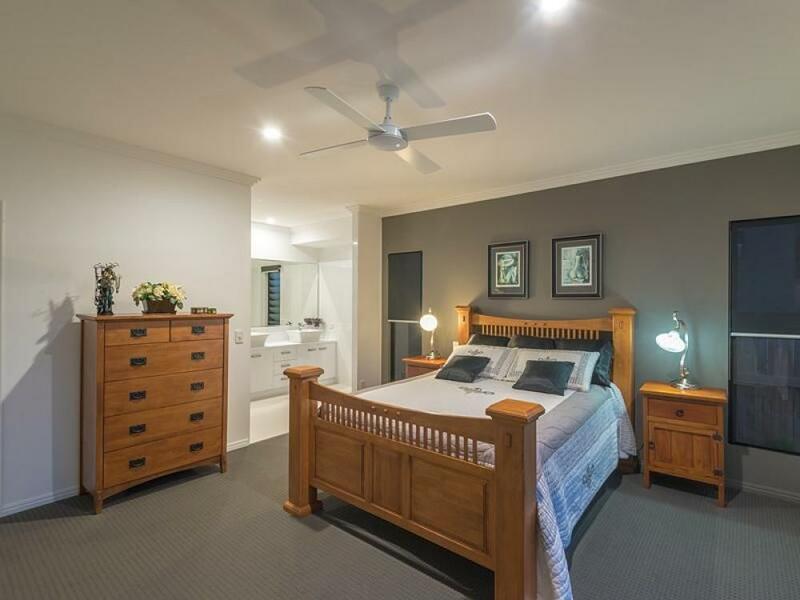 Other features include vacuum maid, ceilings fans, workshop room off the double garage, and an outlook into treed park land and the delightful birdsong that goes with that. 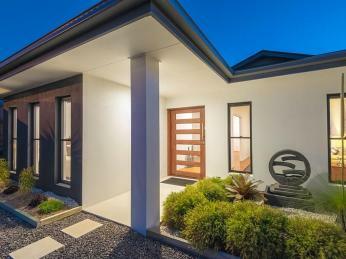 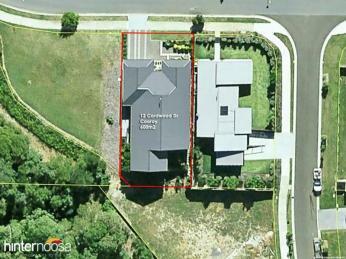 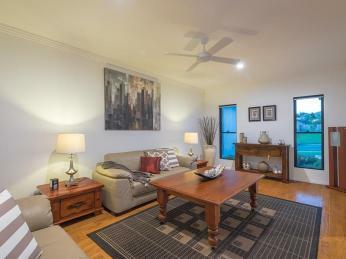 So if you are ready to downsize without compromise then this home with urban sophistication might be the one. Call me to arrange your private viewing.